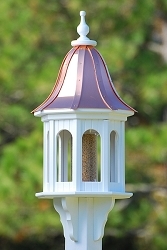 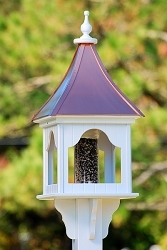 Patina Copper Square 14" Gazebo Bird Feeder - Measures 36" high x 14" wide, square shaped, PVC construction, lift roof to fill 4" diameter acrylic feeder tube, easy to clean, holds approximately 3 quarts of sunflower or mixed seed, brackets attached, fits on 4" x 4" vinyl sleeve post which fits over 3 1/2" x 3 1/2" pressure treated wood post. 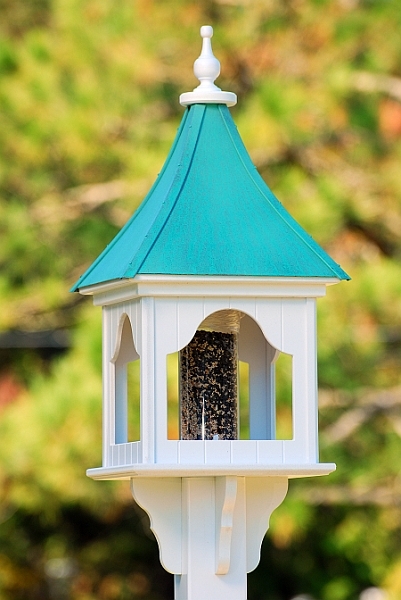 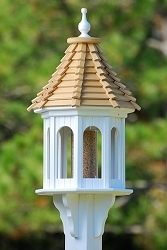 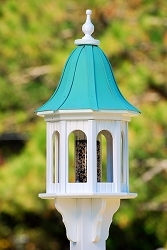 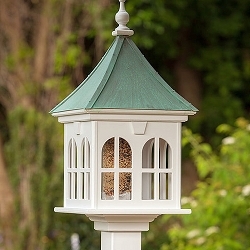 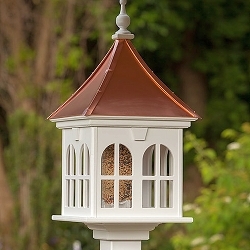 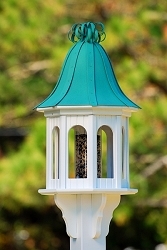 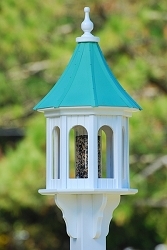 The Square shaped Gazebo Bird Feeders are available in a variety of sizes and roof designs. 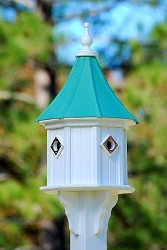 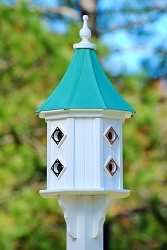 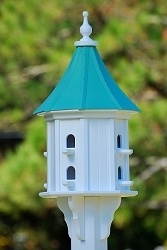 We also offer Fancy Bird Houses with designs that compliment these beautifully detailed Gazebo Bird Feeders.